Cai Be floating market this is one of the largest wholesale markets in the South West. Where local people buy and sell, change the goods on the boat. Visit the traditional villages: rice paper oven, coconut candy oven, rice nuggets. 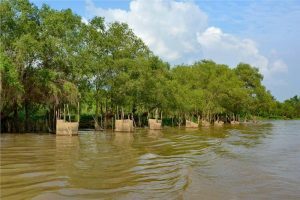 The boat goes through small canals to An Binh Islet – a famous land of fruit of Vinh Long with fertile soil, fertile alluvial soil, fresh fruit trees. Afternoon: 03:00pm Return you to the docks. End of the program (Cai Be – Vinh Long). Pick you back to Saigon. 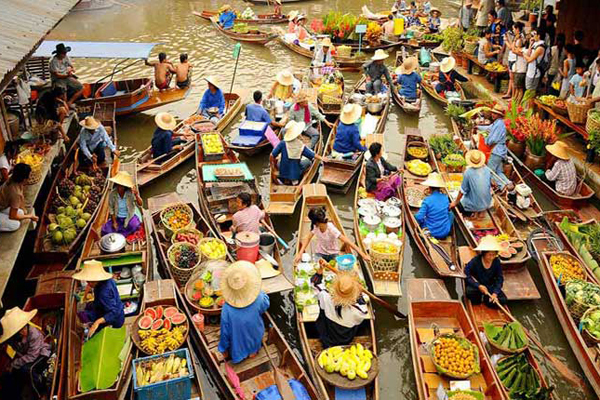 Include: New car air-conditioned shuttle guests to the tour | Transfer to and from Cai Be floating market. Main meal: 01 light breakfast + 01 lunch special | English speaking tour guide | wet towel | mineral water | 1 tourist hat per guest | Insurance for foreigners.